Invest in the right stock, bet on the right sector, follow the right guru. But as with many things in life, the exact opposite is true. And more about not getting things wrong. And no one gets things more wrong than a Thanksgiving turkey. Back in 2006, I first came across the “turkey problem” – and how it applies to investing – in reading an early draft of Nassim Nicholas Taleb’s best-seller, The Black Swan: The Impact of the Highly Improbable. Consider a turkey that is fed every day. Every single feeding will firm up the bird’s belief that it is the general rule of life to be fed every day by friendly members of the human race “looking out for its best interests,” as a politician would say. On the Wednesday before the afternoon of Thanksgiving, something unexpected will happen to the turkey. It will incur a revision of belief. Inductive reasoning uses past events to forecast the future. Put simply, if something has worked a certain way for a long time, you expect it will continue to work that way in the future. The sun will rise in the east. Cars at intersections will stop at red lights. The 5:37 a.m. morning train into the city will arrive (more or less) on time. We use induction to organize much of our lives. Taleb argues that, in some instances, induction is not just wrong. It’s deeply harmful. [The problem of induction] strikes at the nature of empirical knowledge itself. Something has worked in the past, until – well, it unexpectedly no longer does, and what we have learned from the past turns out to be at best irrelevant or false, at worst viciously misleading. For 1,000 days, the turkey enjoyed a comfortable life. It had no idea that it would end up as the main course of a Thanksgiving dinner. Yet, the 1,001st day turned out to be more important than the other 1,000 days of its life combined. As it turns out, there are legitimate investment strategies that offer just that… until the day they don’t. The most recent example of such a strategy happened almost exactly a year ago. Recall that the U.S. stock market spent much of 2017 rising in stairstep fashion. Volatility was low. The odds of any substantial market pullback were minuscule. Investors betting against higher volatility in the U.S. stock market earned steady returns, month after month. In August 2017, Business Insider reported on the case of Seth M. Golden of Ocala, Florida. This former Target logistics manager grew his net worth from $500,000 to $12 million in five years by shorting the CBOE Volatility Index (VIX) using various exchange-traded funds. According to my back-of-the-envelope calculations, Golden generated an average annual return of 89%. He planned to launch a hedge fund based on this impressive five-year track record. 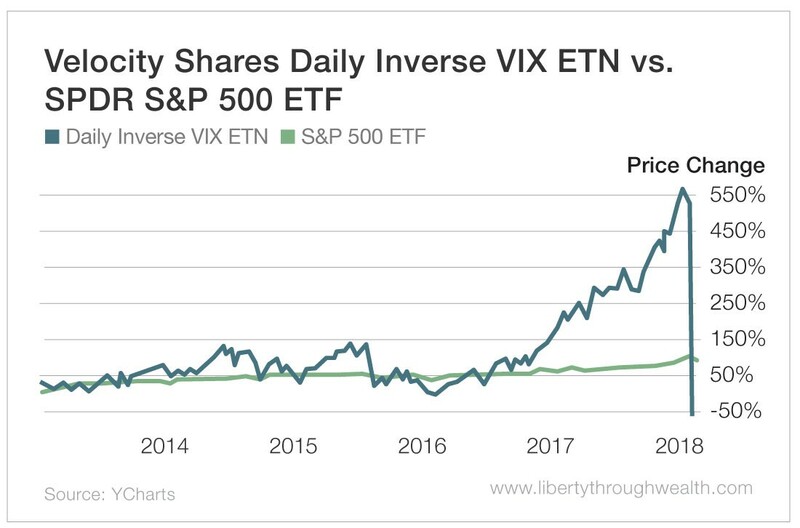 Fast-forward six months, and on February 5, 2018, the VelocityShares Daily Inverse VIX Short-Term ETN (XIV) lost 15% of its value during regular trading hours… And lost an additional 96% (based on net asset value) in the aftermarkets. But investors lost more than 70% of their original investment – in a single day. Golden’s “short VIX” trade turned out to be a real-life version of the turkey problem. The turkey problem in investing is psychologically pernicious. 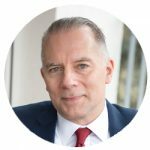 Imagine you are Seth Golden and you’ve enjoyed success for five years using a single strategy – and suffered next to no hiccups. 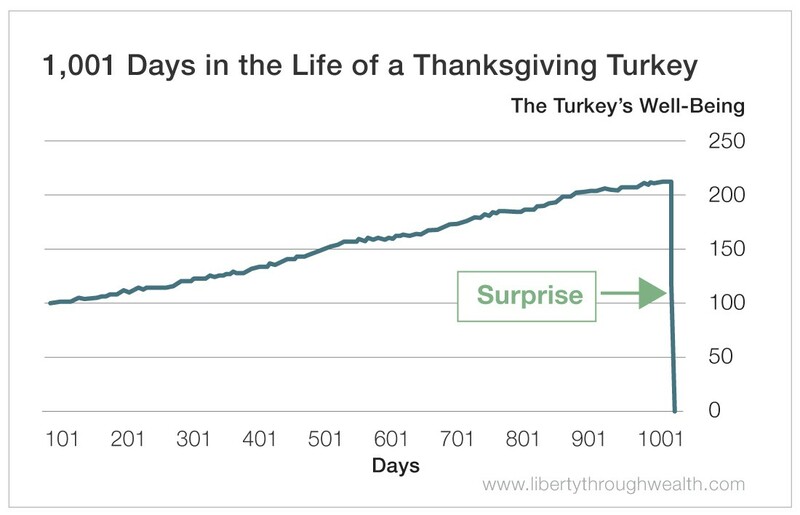 It’s tough to see that you are the investment equivalent of the turkey that has been well fed every single day… and Thanksgiving is coming up. In fact, every day that passes, you become more convinced that you have unlocked the secret to making money in the market. Consider that [the turkey’s] feeling of safety reached its maximum when the risk was at the highest! Just because what you’ve been doing has brought positive results for years, don’t read that as a guarantee it will continue to do so. Situations change – in an instant, sometimes – and what was working like a well-oiled machine can suddenly become a ticking time bomb. Or a hatchet that turns a well-fed turkey into Thanksgiving dinner. 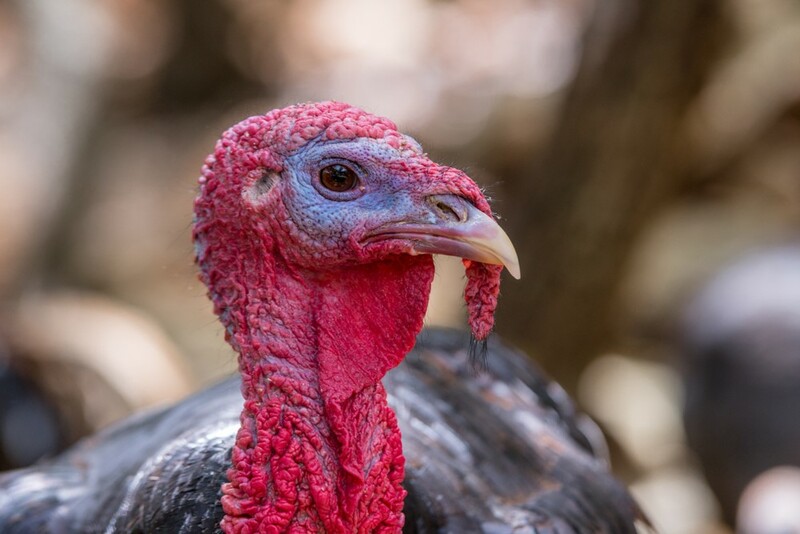 Don’t be an investment turkey. P.S. If you want to read more about the fate of financial turkeys, I recommend Taleb’s first book, Fooled by Randomness: The Hidden Role of Chance in Life and in the Markets.